It doesn't get much better than this impeccably maintained luxury Trilogy Home at Monarch Dunes. 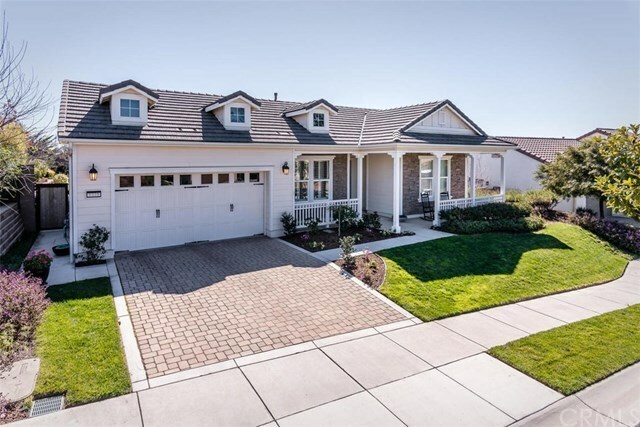 Pride of ownership is shown throughout this Avila Model home with over the top upgrades from conception. Upgrades include: kitchen reconfiguration with a breakfast bar/ sink, kitchen island with a sink a Chef's delight, top of the line sinks, faucets, lighting, added fireplace and windows in the Great Room, custom retaining wall, hardscape, exterior facade, Energy Efficient prepaid Solar System and the list goes on. Offering 3 bedrooms, 2.5 bathrooms, formal dining room, office/den and Great Room. There is a beautifully appointed patio with a water fountain off the kitchen. Both front and back yards have been professionally landscaped with a variety of mature trees and vegetation. Information not verified.